Work your upper and middle abs in four crunch positions ranging from flat to a 30-degree decline. 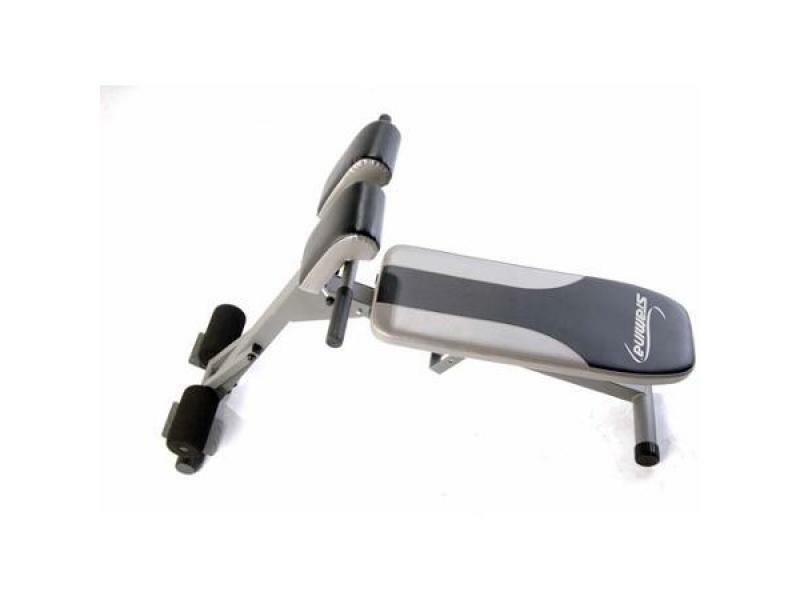 The pull of a pin quickly and easily adjusts the angle of the bench to increase or decrease your workout intensity. Target your lower back muscles with standing hyperextension exercises. The Ab/Hyper Bench's thigh support adjusts to fit your leg length, and the pivoting foam rollers hold your ankles securely so your body is aligned in the correct workout position.